A Waldo Street apartment building was closed Tuesday after city officials found significant safety code violations. 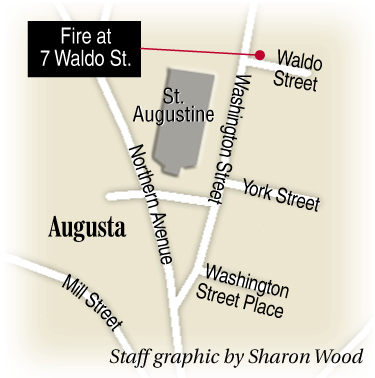 AUGUSTA — City officials closed a Waldo Street apartment building Tuesday after they found significant safety code violations during an interior inspection after a fire. The closure of the Sand Hill apartment building brings to 10 the number of apartment buildings closed by the city of Augusta in the last year because of code violations. Those buildings contained 53 living units — or 54, if an unauthorized basement apartment in the Waldo Street building is included. The closure displaced 10 people, including three children under 10 years old, said Code Enforcement Officer Rob Overton. No one was hurt in the fire. 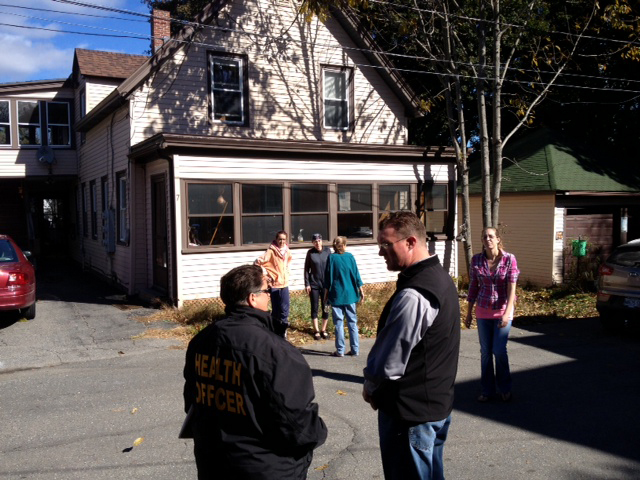 The city lists the building at 7 Waldo St. as consisting of three units, but Overton said he discovered an owner of the building, Steven Beaulieu, living in a fourth unit in the basement. Overton called the basement a “fire trap,” with improper wiring and belongings stored near the boiler. Overton said the code violations were numerous and throughout the building — missing smoke detectors, improper ceiling heights and window size, and insufficient exits. 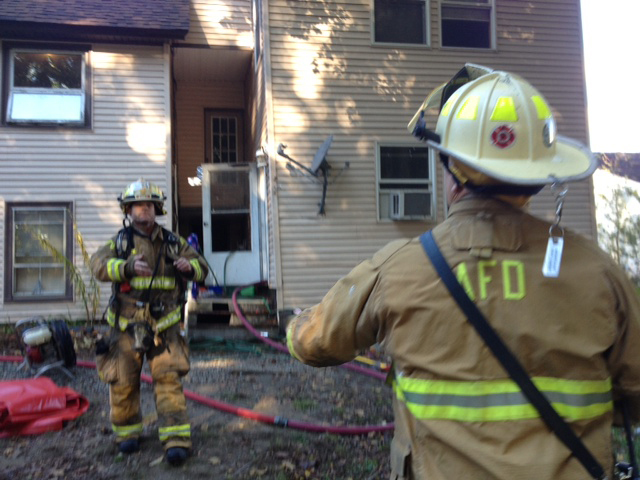 The back unit lacked a second exit from the second floor because the stairs to a first floor exit had been removed. Overton said the tenant would have had to jump 10 feet down in an emergency if the main exit was blocked. Raenae Moore, general assistance administrator and health officer for the city, said the American Red Cross will provide temporary housing for tenants for three nights while the city looks for permanent housing. If housing can’t be found in that time, the city will look at placing tenants in hotels, Moore said. The second-floor tenant, Mary Williams, 26, said the fire started as the result of an electrical problem in her stove and destroyed all of her belongings, including medication costing more than $3,000 for her 2-year-old daughter, who she said has a chronic bleeding disorder. Williams said she probably will stay with friends temporarily until she can find another place. She said she and her boyfriend might move to Massachusetts, where his parents have property. Williams told Beaulieu about a stove problem after a minor fire a week ago, Overton said, but Beaulieu didn’t fix or replace it. Overton said it appears Beaulieu won’t be able to pay the tenants their security deposits, ranging from $800 to $825 for some tenants or a refund for part of the rent for October, because he didn’t keep the money in a separate escrow account. Maine law requires security deposits to be kept separate from landlords’ other assets and in financial accounts creditors can’t claim. In some of the apartment closures in Augusta, Overton said, the city is discovering that’s not happening. “What we’re finding is a lot of landlords out there put that money in their working capital to make ends meet,” he said. The tenants will be referred to Pine Tree Legal Assistance, a free legal service for people with low incomes, Overton said. City records list the owners of the building as Steven and Diane Beaulieu, who Overton said is Steven’s ex-wife. Steven Beaulieu bought the building in 2003 for $72,200, according to city records. Overton said he doesn’t recall any previous problems brought to the city’s attention about the building. Beaulieu was at the building Tuesday morning, along with the other tenants. He answered questions from a reporter briefly before taking a call from what he said was his insurance company. Before the call, he said he won’t know what he’ll do with the building until learning of all the code violations. Overton estimated it could cost $30,000 to $40,000 to bring the building up to code. As a result of concerns that some residents are living in unsafe apartment buildings, the Augusta City Council is pursuing an ordinance requiring safety inspections of apartment buildings rented to people receiving General Assistance money from the city to help pay their rent. An attorney representing landlords warned councilors at a meeting in September that the ordinance could go too far and push some landlords to abandon their buildings. The council plans to discuss the proposed ordinance at an informational meeting on Oct. 24 at Augusta City Center.